This post is sponsored by Cost Plus World Market, all opinions are 100% mine. 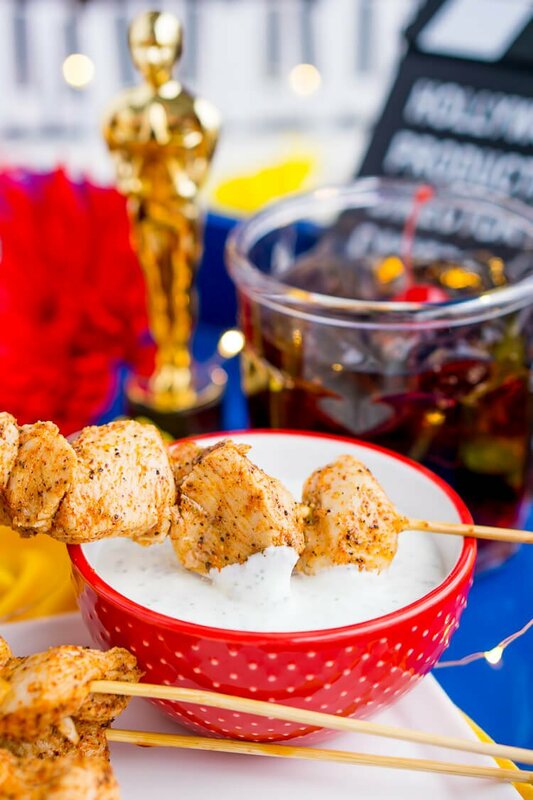 These Baked Cajun Chicken Skewers are marinated in zesty Cajun flavors, baked to perfection, and served with a creamy and cool mint yogurt sauce. 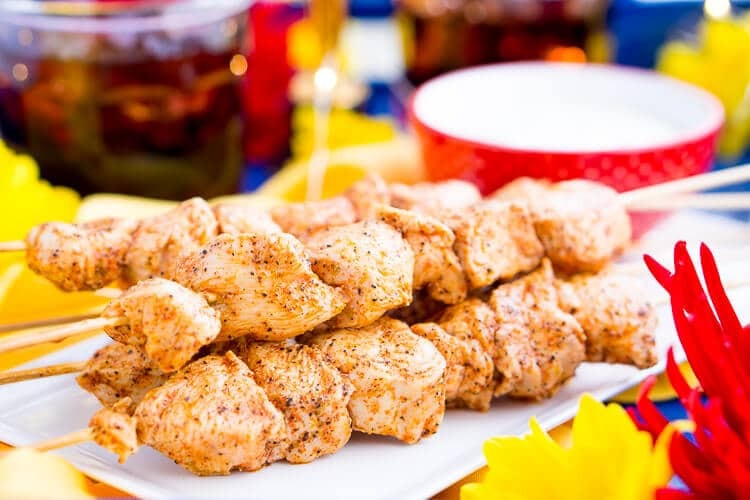 These Cajun Chicken Skewers are a delicious and easy appetizer or dinner recipe! The last couple of months or so has been a bit rough over here; I just haven’t been feeling that fire like I used to. I’m sure it’s a little bit of burn out, and a little bit of stress, but I also think it’s safe to say that winter is really taking its toll on me. I’ve decided that working from home during the winter months is a constant struggle with wanting to be a hermit and having some serious cabin fever. Matt and I have been doing a lot of talking lately, and I realized that I’d lost a bit of the passion I’ve always had for this blog. I still love it, my world pretty much revolves around it, but there’s a difference between loving your work and being in love with the things you create (not in a weird way). And you know what posts make me really love this job and blog of mine? My Food & Fiction ones. I love bringing pop culture and food together. I love styling these posts. I love writing these posts. I love these posts because I feel like they are the ones where I can truly bring myself to the table, where I can lay it on the line with creativity and know that even if you don’t love it, it’s okay because I do. Because it’s something I’m passionate about and it makes me happy, and maybe that’s what really matters. And maybe, just maybe, it will matter to you too! Plus, today’s post is in partnership with World Market and I love that they allow me the freedom to get crazy and do what I love in the work I do for them! I’ve included a gallery with links to all the items used in this post near the end, so be sure to check it out! 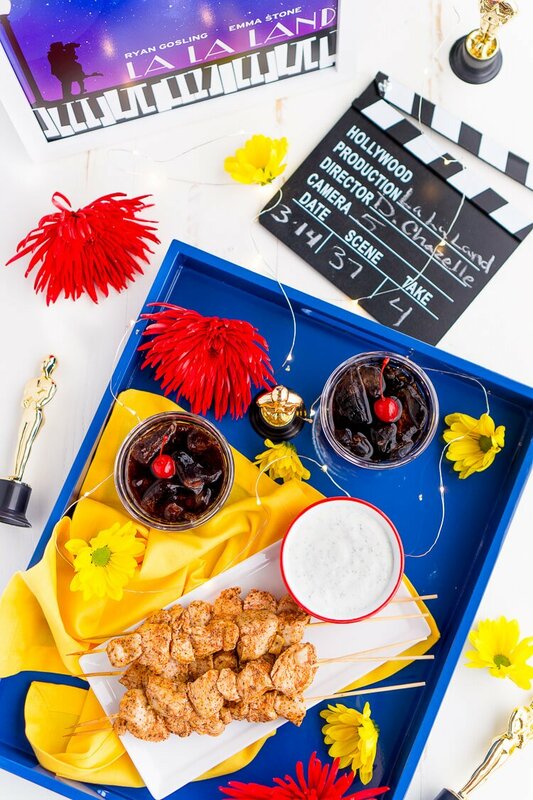 So today, I’m officially kicking off my 2017 Oscar Recipe Series! 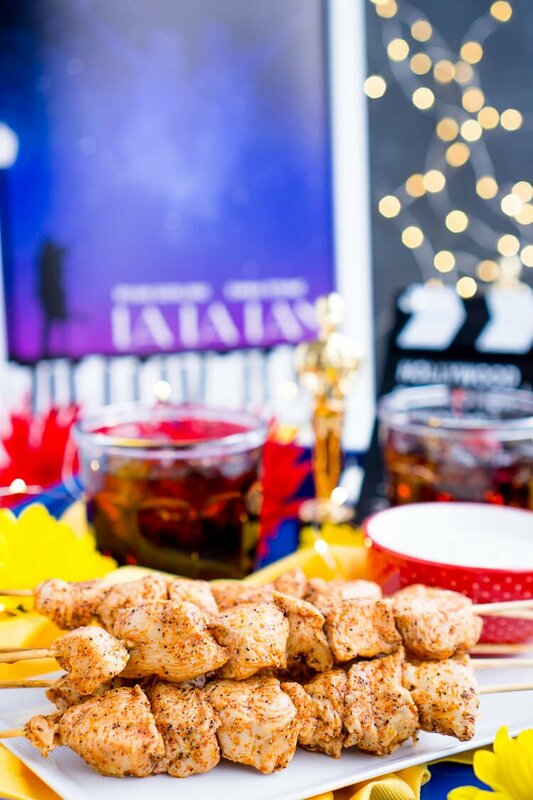 I had so much fun with last year’s posts, and you guys know how much I love movies, so I’m back at it again because I need to add a little passion back into this blog! So far I’ve seen four of the nine Best Picture nominees, and I’m hoping to tackle each one in the order I saw them, I’m also going to be spacing them out a little more, so you’ll be seeing at least nine Oscar-inspired posts from me over the next month! So let’s get to it! You know how some movies just don’t live up to the height? 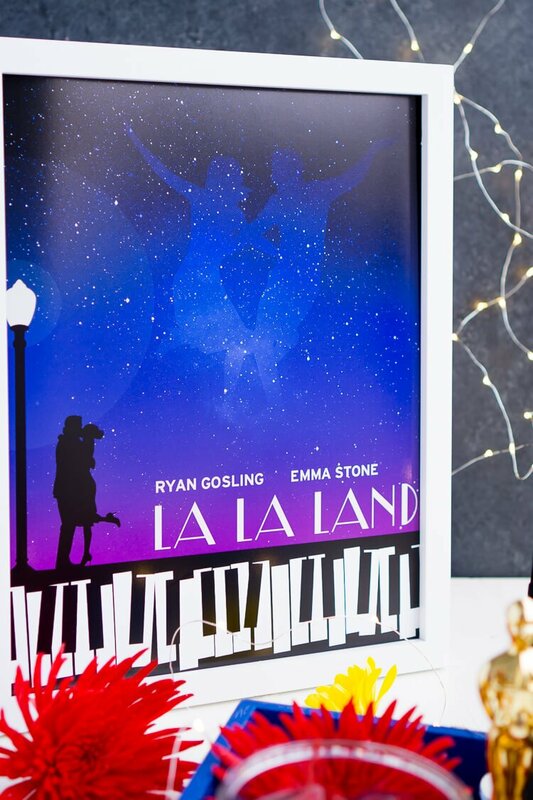 La La Land is not one of them; it’s worth every bit of attention it’s getting this awards season. It claimed 14 Oscar nominations, tying the Titanic and All About Eve for the most nominations ever! Clearly, this film is magical! Since I saw it, I can’t stop thinking about it. It was so much more than a modern-day neo-musical. And while its story wasn’t overly original, it was brilliantly told. The movie is very much about being a struggling artist in a world that doesn’t really seem to care about art anymore. It’s about how today’s creative minds, the dreamers, and the believers, and how we are often sacrificing everything along the way to achieving those dreams. The script is charming, Emma Stone and Ryan Gosling’s chemistry is perfection, and the cinematography and editing changes with the tone of the story in such a way that almost feels like we transition from one movie into another. And while this film might seem like a love letter to Hollywood and many would say that’s why it’s getting all the attention during awards season, it’s more than that. Its story is a reminder of the hard choices we have to make in life, and the hardest of all is the choice between love and going after your dreams because sometimes they don’t go hand in hand, and sometimes they reverse rolls. It was about the people who come into your life, who direct you where you need to go, but maybe don’t always get to come with you. It’s beautiful and mesmerizing, heartbreaking and funny, raw and perfect. I thought Damien Chazelle, the writer and director, had outdone himself with his film Whiplash (which was amazing), but man, La La Land is a masterpiece, a breakout, and pure MAGIC! It’s everything you could want from a movie and more and all of you should see it if you haven’t already! Okay, so we’ve talked a lot about life and a lot about the movie, it’s time to talk about this chicken! 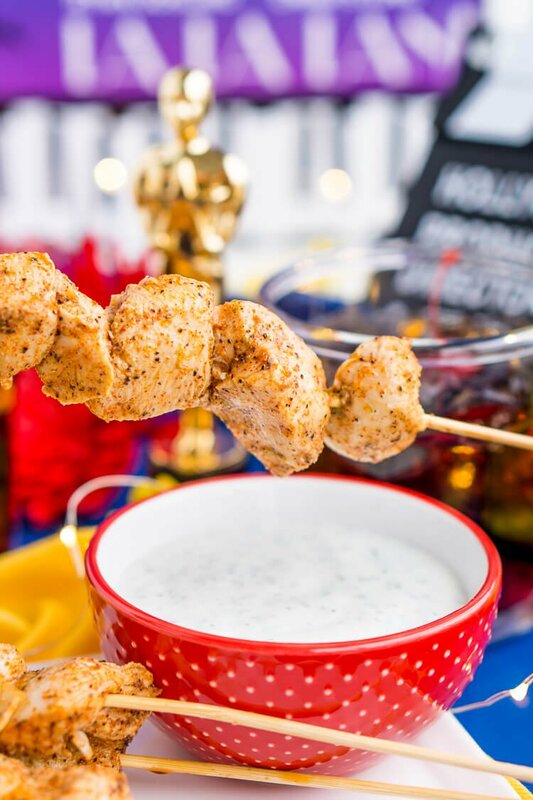 In the film, Sebastian wants desperately to open a jazz club in Hollywood, and he wants to name it Chicken on a Stick, so that’s where the inspiration came from. 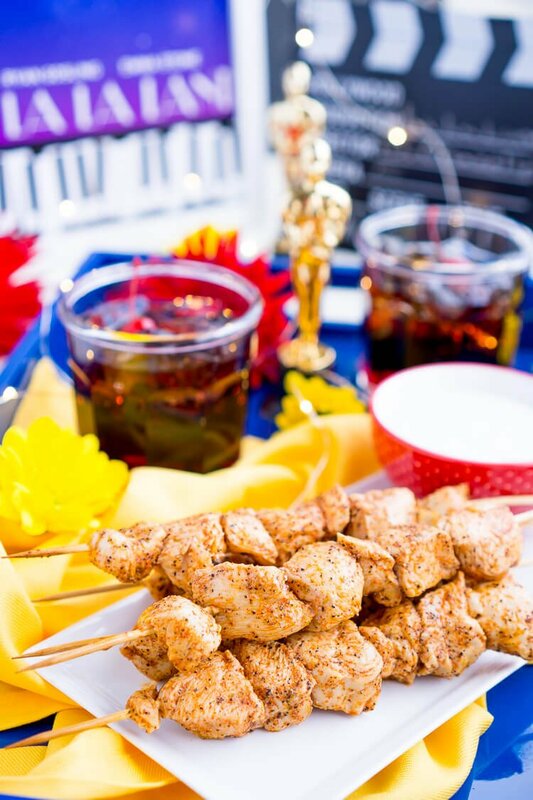 I’d like to think that even though Sebastian does go with the name Seb’s – and that whole scene ripped my heart out – that he still had some chicken on a stick on the appetizers menu. 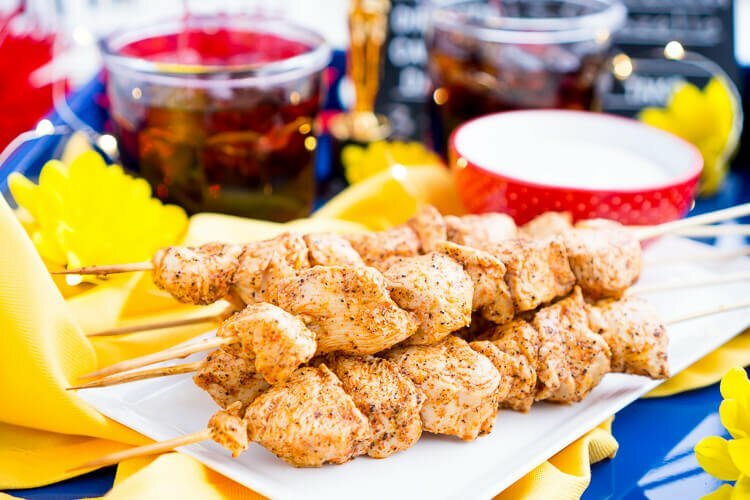 These Baked Cajun Chicken Skewers are marinated in some Slap Ya Mama Cajun Seasoning, lime juice and zest, olive oil, diced onion, and black pepper, then it’s baked to perfection and served with a creamy and cool mint yogurt sauce. Like a lot of Cajun Foods, this chicken has A LOT of kick! Feel free to make a milder recipe by cutting the seasoning in half. This is a great dinner recipe when paired with rice and also makes great party appetizers! What movies are you most looking forward to seeing during award season? 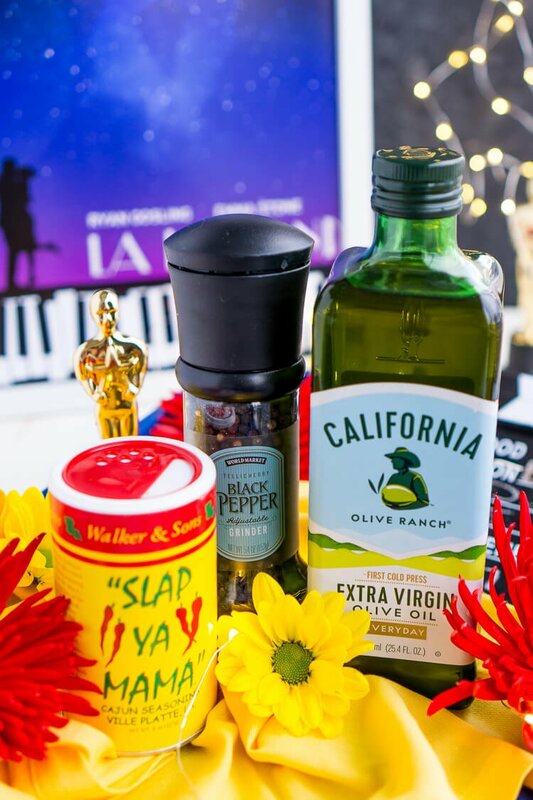 Do you have any fun traditions surrounding the Oscars? 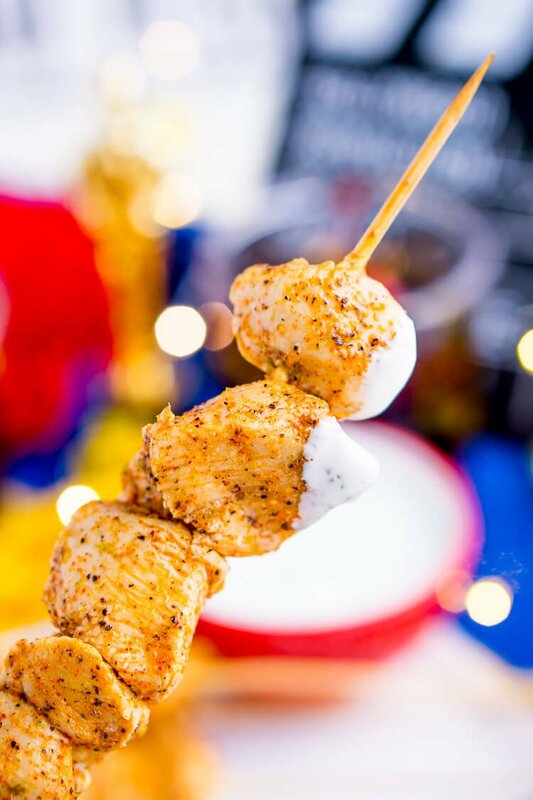 Watch How To Make These Cajun Chicken Skewers In the Video! 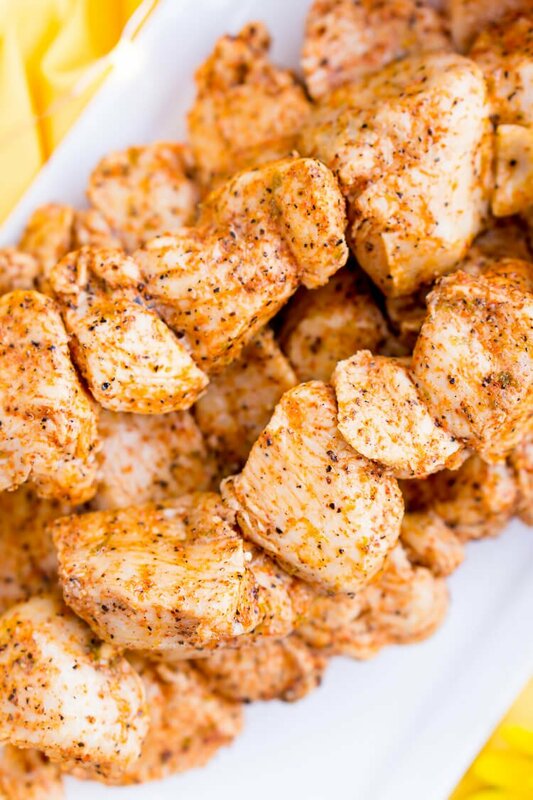 Cut chicken breast(s) into square-ish 1-inch chunks and place in a medium bowl, add remaining chicken ingredients to the bowl with the chicken and mix until evenly combined. Cover and marinate in the refrigerator for at least 1 hour. Preheat oven to 350 degrees F. Place a cooling rack on a lipped baking sheet and spray with cooking spray and set aside. 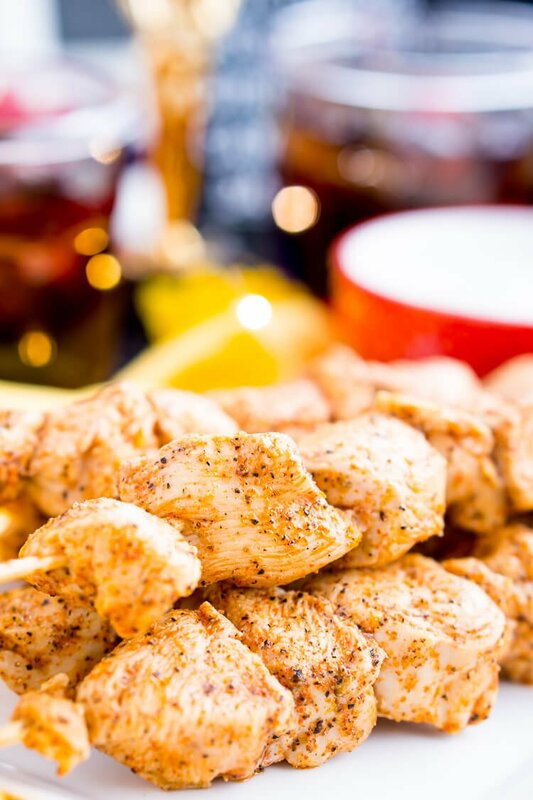 Once the chicken is done marinating, add 5 to 6 pieces of chicken to each skewer, you should have 5 to 6 skewers worth of chicken. Place on the prepared cooling rack/baking sheet. Bake for 10 minutes, baste with remaining marinade, bake for 10 more minutes, baste with remaining marinade, and bake for another 5 to 10 minutes, until chicken reaches an internal temperature of 165 degrees F.
Mix ingredients together in a small bowl, or blend in a blender for a finer dip and refrigerate for at least an hour. 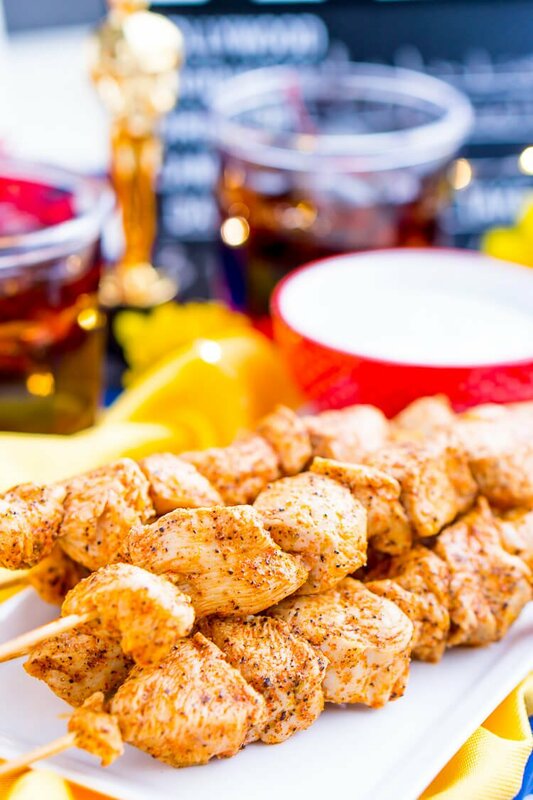 Serve cold with chicken skewers. The Slap Ya Mama Cajun Seasoning has a pretty good kick to it, if you prefer things on the milder side, you can cut this down to 1 tablespoon. The current ingredient measurements are for a dinner portion for a small family. Double the recipe for a party portion for appetizers. 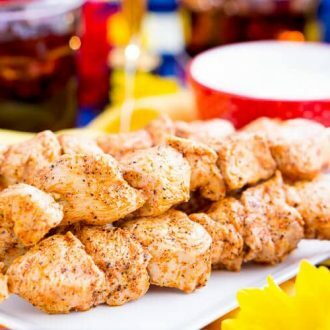 Pin this Cajun Chicken Recipe for Later! I feel you girl! This midwest winter is HARD! We’re in Minneapolis and the urge to not leave my house in the winter is staggering! Love how you’re digging yourself out of the rut though, what a great post! Your pictures are awesome! Great photography!